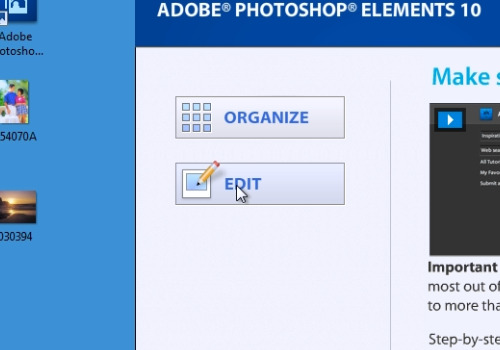 In this video tutorial we will show you how to use photoshop elements for digital scrapbooking. Launch the Launch the Adobe Photoshop Elements and choose “Edit” to open. Go to the “File” menu, choose “Open” and select the images you want to use. If you see the warning window, choose “Convert mode”. Select the image that you want to use as a background. 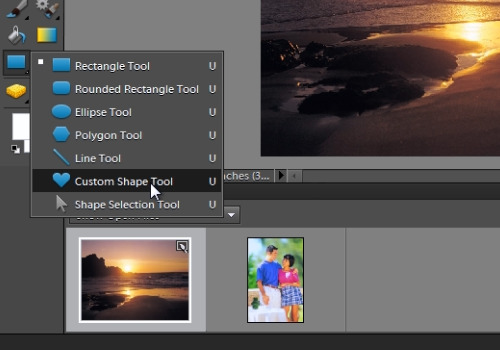 Then, choose “Custom Shape Tool” from the toolbar. For example, draw a heart or you can choose any other figure from the “Custom Shape Tool” toolbar. Click “Simplify” from the toolbar to rasterize the shape layer into editable pixels. Select “Move tool” form the toolbar. 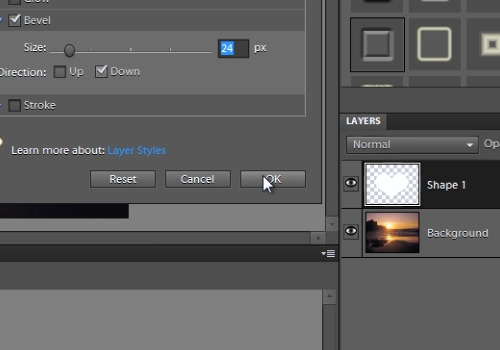 Go to “Effects” tab and choose “All” styles. For example, choose “Simple Sharp Pillow Emboss” and drag it to the heart. Then, double-click on “fx” icon on the “Shape 1” that indicates layer styles. Adjust the size for “Up” and “Down” direction. When it’s done, press “Ok”. Press “Ctrl” key and click on the heart icon inside “Shape 1” to select the heart directly. Then, go to the other image. Go to “Select” menu and choose “All”. Then, go to “Edit” menu and choose “Copy”. Go back to your main image and click on “Shape 1”. 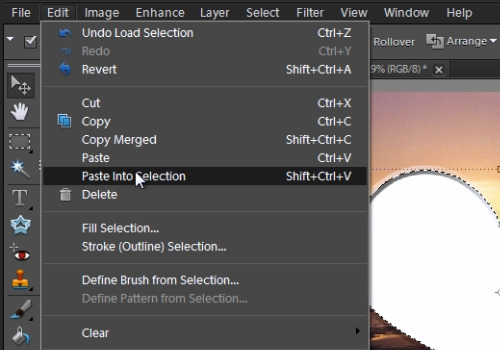 Go to “Edit” menu and choose “Paste into Selection”. Now, adjust your photo size and position to match your heart. When it’s done, press “Check” button. Go to “Select” menu and choose “Deselect”. Click on the “Shape 1” and then adjust position and size of the heart as you like.